June 29, 2018, 2:00 p.m. The FIFA World Cup mobilizes people in many countries – just not in the United States. In a year when the US wasn’t able to qualify for the 32-nation soccer competition, the public claims to care less than it usually does about the competition now taking place in Russia. In the latest Economist/YouGov Poll, just 15% say they are at least somewhat interested in the contest. Less than a third can muster up even “a little“ interest. There is somewhat more interest among those under 45 years old. But the group to whom the World Cup matters most is this country’s Hispanic population. This may be no surprise, as in the 20 World Cup contests held since 1930, half were won by countries in Latin America or by Spain. Brazil has won five World Cups, Argentina and Uruguay two each. 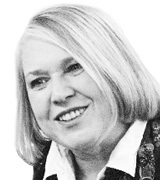 The fact that the contest is in Russia is itself controversial. In a spring 2015 Economist/YouGov poll, Americans believed the FIFA process that made Russia the World Cup host country was seriously flawed. By 54% to 5%, Americans said Russia was selected by a process that was probably corrupt. 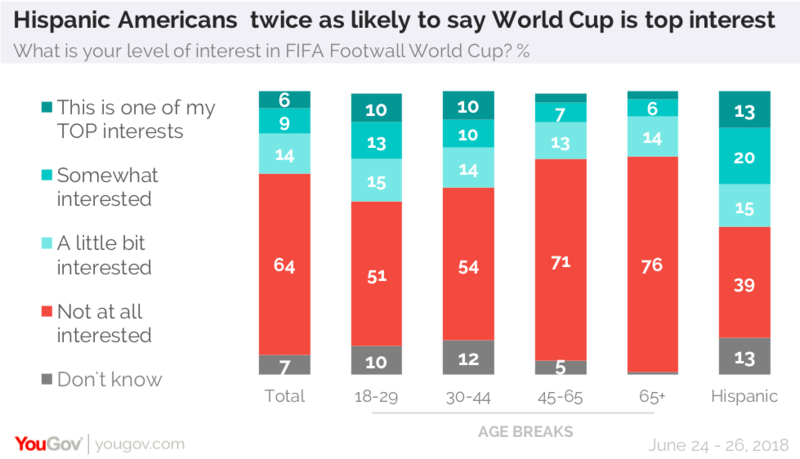 The doubts about having a World Cup in Russia and the lack of having a US national team competing hurt American interest in the matches: three times as many people say they are less interested in the World Cup than usual and only 9% are more interested. However, while there might not be many true World Cup fans in the United States, there are still some favorite teams. Americans, without a team of their own, want national teams they have an association with – or a particular liking for – to win. Mexico is the most popular team among the public overall, and it is dominant when it comes to Hispanic Americans. More than one in three Hispanic Americans with at least some interest say Mexico is their choice for the World Cup. Three of the top four teams have made it through to the Round of 16 – except for Germany, which won the World Cup four years ago. This year it failed to advance past the group stage. There are also teams people don’t like. The least favorite? Russia. 10% of the pubic overall (and 22% of those at least somewhat interested) say they would be unhappy if Russia won. Iran is the second least popular team, mentioned by 7% overall and 15% of fans. Russia is still in the competition; Iran has been eliminated.